Christmas night on North Carolina's Outer Banks --a gunshot victim is brought into the emergency room where Dr. Olivia Simon is on duty. Midway through surgery, Olivia learns that the person whose heart she literally holds in her hands is Annie O'Neill, the woman with whom her husband, Paul, is in love. Annie--known as Saint Anne for unending good works--does not survive, and for the three people who idealize her, the death has a devastating impact. To her husband Alec, Annie was the perfect wife and mother. To Paul she was everything he always wanted. And to Olivia she was a rival to be emulated. 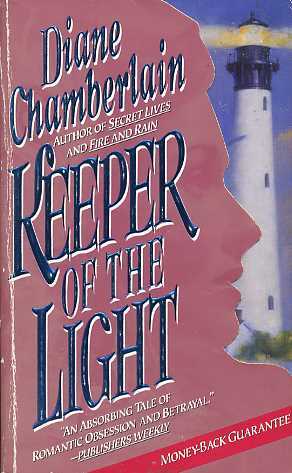 Joined together not only by their obsessions with Annie, but by an effort to preserve the Kiss River Lighthouse, the three are soon caught up in a whirlwind of love, passion, and deception that could destroy their lives. Only one person--the keeper of the light--can help them... the one person who knows a shocking truth that has the power to set them free.